Microsoft Dynamics GP 2016 (formerly Great Plains) is changing the way that people and businesses interact with and what they expect from their business solutions. The new features and enhancements in Dynamics GP 2016 empower organizations with a greater degree of flexibility, insight, and control over their business processes. Cloud and mobile ready, Dynamics GP 2016 is fully accessible anywhere and on any device that supports HTML5. 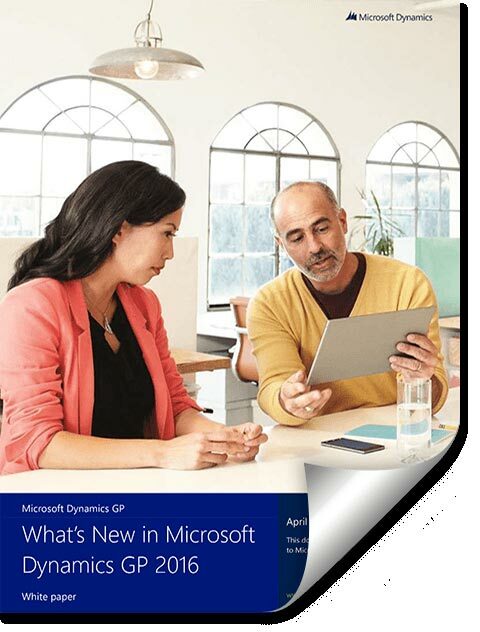 Explore Microsoft Dynamics GP 2016’s new features and enhancements in greater detail in this downloadable whitepaper.